The other day i hosted a potluck party at my place. Before the get together i kept wracking my brain for a simple snack/appetizer. I wanted to make something that could be made in advance thus relieving me of the last minute stress of frying or baking. 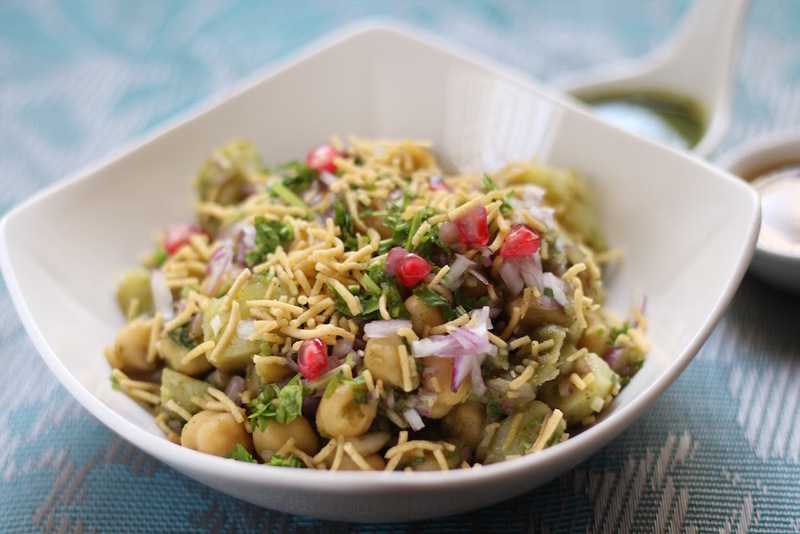 I zeroed in on aloo channa chaat (potato chickpea snack). 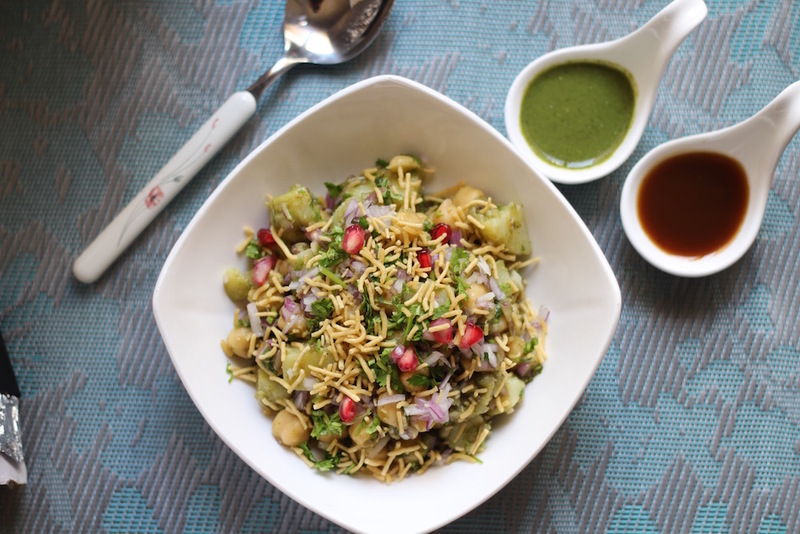 I love north indian chaats mainly for the lovely flavours that come through every dish. An amazing starter for a potluck party and also a tasty tea-time snack! Mix together the chickpeas and potatoes in a bowl. Add the onions, green chillies and coriander leaves to the bowl. Refrigerate the chaat for a couple of hours.